The air in the average home holds approximately one-million particles per cubic foot. In a day’s time, you breathe some 500 million particles (or two heaping tablespoons of airborne particles); which can lead to colds, flu, allergies, asthma and respiratory disease. And when you consider that you spend 90% of your time indoors, doesn’t it make sense to ensure that you’re breathing the purest air possible? Unfortunately, good housekeeping alone can’t solve the problem (no matter how often or thorough). 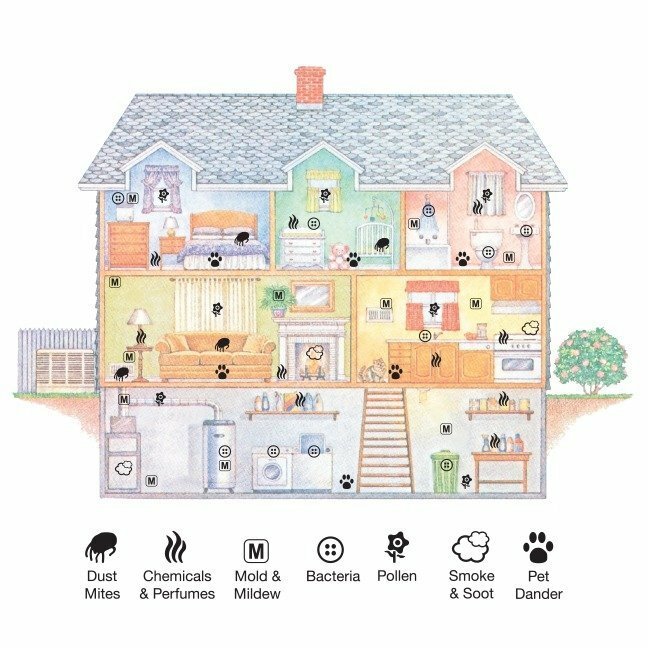 Airwise Purifiers are designed for continuous operation—preventing the inhaling of the many hazardous substances found in even the cleanest homes. Airwise far surpasses mechanical filtration methods like HEPA, electrostatic filtration, ozone, ultraviolet light and ionizers. 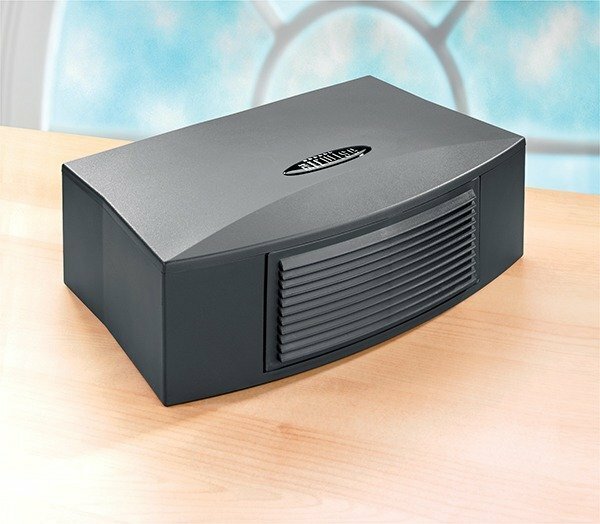 Airwise works “outside the box” so it is not necessary for polluted air to actually enter the purifier. 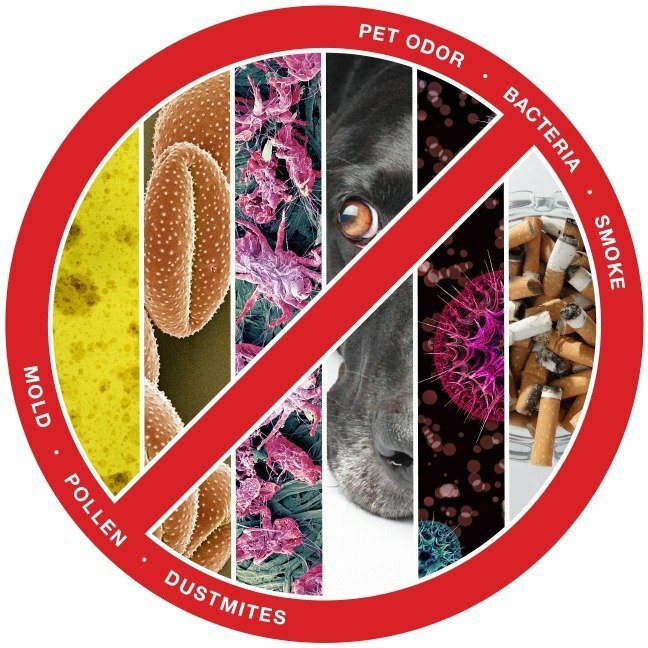 Instead, Airwise uses the most sophisticated technology to neutralize organic odors, microbes and molds at their source, also dropping out airborne particles throughout the treated area. Since it does all this without the need of a fan, it operates as quietly as a lightbulb. Airwise is so easy to use and maintain; just take it out of the box and plug it in. It has no grid or filter, so it requires no cleaning or filter replacement. 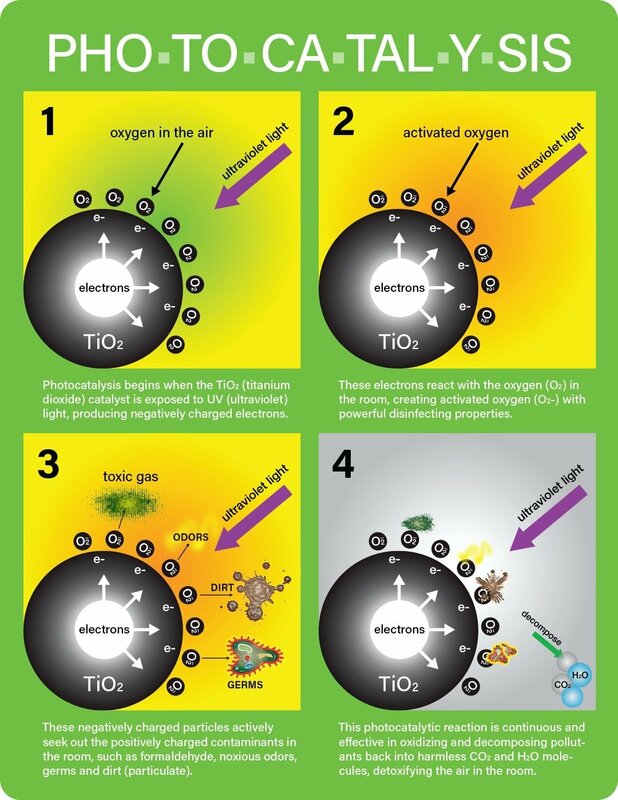 All you do is replace the photocatalytic lamp module every 12-18 months (no tools required). Less than 1% of particulate matter measures more than 10 microns and is visible to the naked eye. Examples include pollen, ash, dander and aerosol mist. By contrast, over 98% measures less than 1 micron and would require a powerful microscope to be seen (a human hair averages to to 120 microns across). Some examples include fumes, viruses, mold and bacteria. The small size of these particles makes them detrimental to your health as they easily infiltrate the lungs. Compounding this is the fact that they tend to stay airborne, increasing the likelihood of ingestion. Indoor gases, such as formaldehyde, chloroform, benzene, and hydrogen sulfide are released from furniture, carpeting, cleansers, printers, insulation, insecticides and hair sprays. VOCs, including benzene and trichlorethylene, contain carbon and easily evaporate into the air, making them readily inhalable. 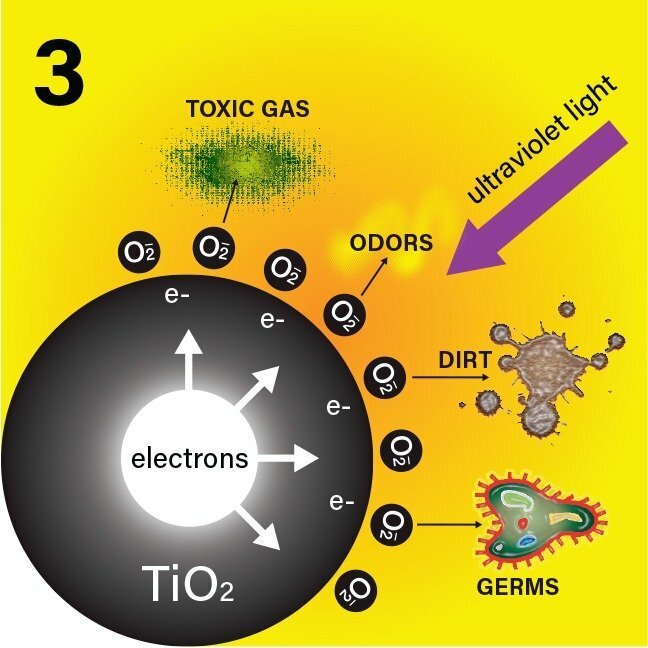 The odors that we all would rather not smell are typically VOCs or other noxious gases. These biological contaminants include bacteria, protozoa and fungi/mold, with a range of sizes from 0.001 to 10 microns. They rely on moisture and humidity to survive. Dust mites feed on decomposing skin and live and thrive in bedding. Some molds produce mycotoxins and volatile organic compounds (VOCs). Wisepointe works at the same time in generating negative ions which quickly attach to and remove particulate pollution from your breathing space in a process called agglomeration.